On 17 December, Aman Le Mélézin will reopen for the alpine Ski Season and mark its 25th anniversary by unveiling a new holistic 767 square metre spa, dedicated to rebalancing both body and mind. 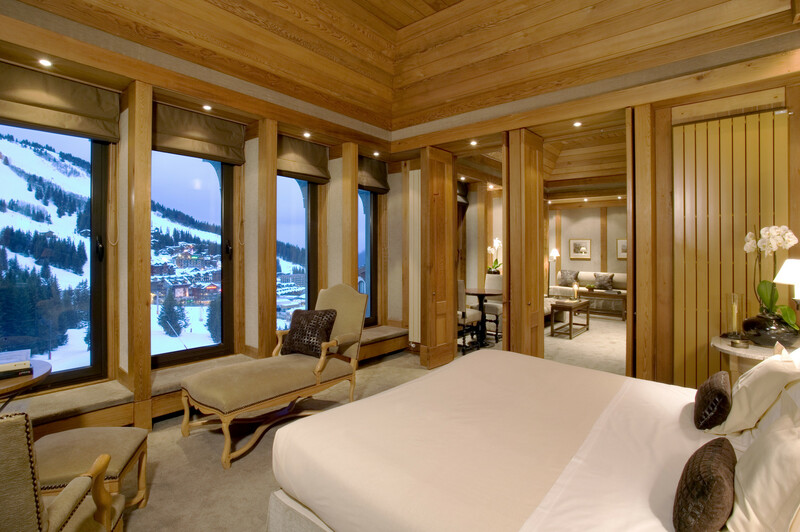 Following the recent refurbishment of all rooms and suites in 2016, the new spa will bring two summer seasons worth of works to a close and will provide an extensive wellness sanctuary for guests to ensconce themselves after an exhilarating day on the slopes. Additionally, to mark this milestone anniversary, Aman Le Mélézin will launch Nama, the culinary concept introduced by Aman earlier this year when it was inaugurated at Amanpuri, which celebrates finely crafted Japanese cuisine under the guidance of master chef Keiji Matoba. The new spa at Aman Le Mélézin will comprise two new floors, the construction of which saw the entire building temporarily placed on stilts, an architectural and engineering endeavour that has never before been attempted in Courchevel. On one of the two floors will reside the new spa with five spacious treatment rooms including two double suites and one signature Thai massage suite. A hammam will also be installed to offer guests a menu of Turkish wellness experiences including warming and soothing hot stone massages, and energising Himalayan salt scrub experiences. A newly installed yoga studio will be located adjacent to the spa and will offer early morning pre-ski sessions with a qualified instructor to prepare and stretch the body for the day’s activity. Evening classes will focus on releasing tension and stretching the muscles used during skiing. The studio will be equipped with state-of the-art TRX equipment, used to develop strength, balance, flexibility and core stability, all of which are instrumental to improving ski skills Private yoga sessions can be arranged for those who desire more focused attention. The second floor will host the wellness area which will consist of experiential showers to stimulate the body’s circulatory system and oxygen intake, a cold plunge pool to relieve swelling and remove lactic acid after strenuous exercise, a relaxation lounge, a Capri-stone hammam and a wooden sauna. Located a few steps away and flanked by Jacuzzis, a tranquil 14-metre lap pool will lie beneath vaulted ceilings between white pillars and mirrored walls providing a calm environment to swim and soak. The Aman Spa menu has been carefully curated to offer treatments that will focus on providing nourishing heat and moisture following exposure to the wind and cold. Guests will have the chance to prepare for their time on the slopes with a pre-ski massage to improve circulation, increase muscle and tendon elasticity, all of which reduce the chance of injury on the slopes whilst a treatment post-ski will help to break down the build-up of lactic acid that can occur when muscles have worked hard, and reduce the onset of muscle soreness. For those looking for complete indulgence, the Mélézin Signature Spa Journey will combine dry brushing to boost circulation, a tension-releasing hot stone and oil massage and a calming facial designed specially to counter the winter Alpine elements. A further addition this year is the introduction of a Children’s Club, offering youngsters aged three to 15 a communal space to socialise after ski school. Three different chalets located adjacent to and designed to mimic the interiors and aesthetic of Aman le Mélézin, will give youngsters the opportunity to take part in arts and crafts, a variety of social games, and interactive cooking demonstrations where they will be able to bake and decorate their own cookies and cakes. Alongside hot chocolate and a special children’s afternoon tea, a range of healthy snacks and fruits will also be served. The Children’s Club will be supervised and open until 10pm each evening, giving parents the chance to enjoy an intimate dinner with the knowledge that their children are being looked after by professionals in a safe environment. After day spent on the slopes, both guests of Aman le Mélézin and non-residents will be warmly welcomed to Nama, Aman’s newly launched culinary concept which follows the Japanese tradition of washoku, a UNESCO recognised traditional dining experience which translates to harmony in food.. Making its mark on Courchevel’s buzzing restaurant scene and under the guidance of master chef Keiji Matoba who has been the mastermind behind the concept, Nama’s menu will comprise authentic and uncomplicated Japanese dishes including sushi and sashimi alongside highlight dishes such as succulent wagyu beef and otoro tuna. 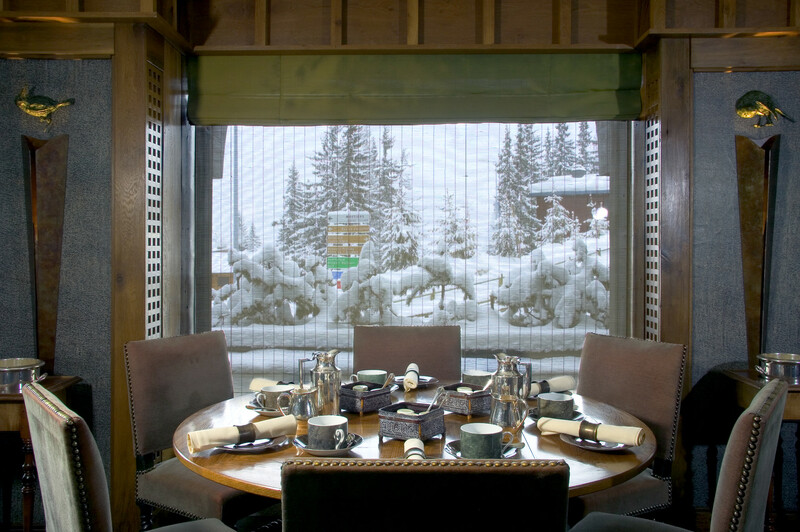 Drawing inspiration from the snowy terrain of Courchevel, Nama’s menu at Aman Le Mélézin will also feature a range of warming ramen dishes, each made with a hearty base of either Shoyu (Soy sauce), Shio (salt), or Miso (soybean). Located on Bellecôte Piste, Courchevel, 1,850 metres above sea level in the heart of Les Trois Vallées, Aman Le Mélézin’s location is one of the most desirable in Courchevel. 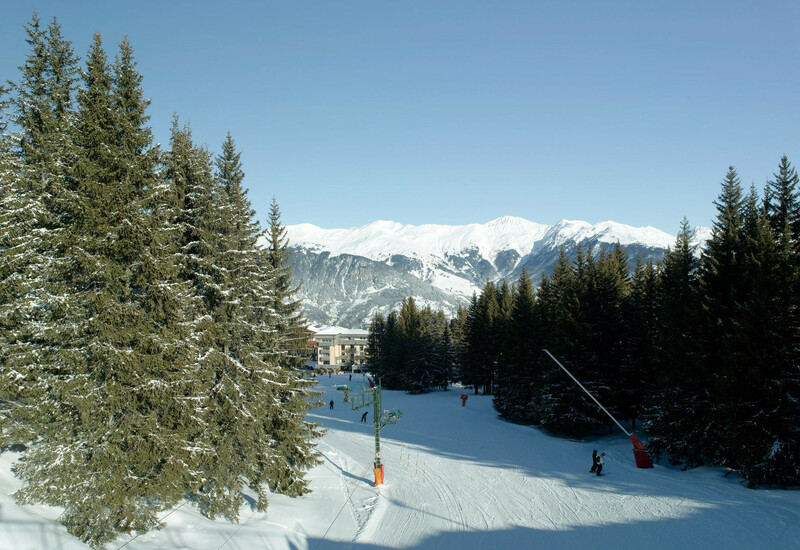 Guests are offered the advantages of ski-in, ski-out, serviced directly from an enlarged ski room with spectacular views directly onto the mountains. Since its opening in December 1992, the resort has provided guests with a refined yet relaxed home away from home with a calm and convivial atmosphere. 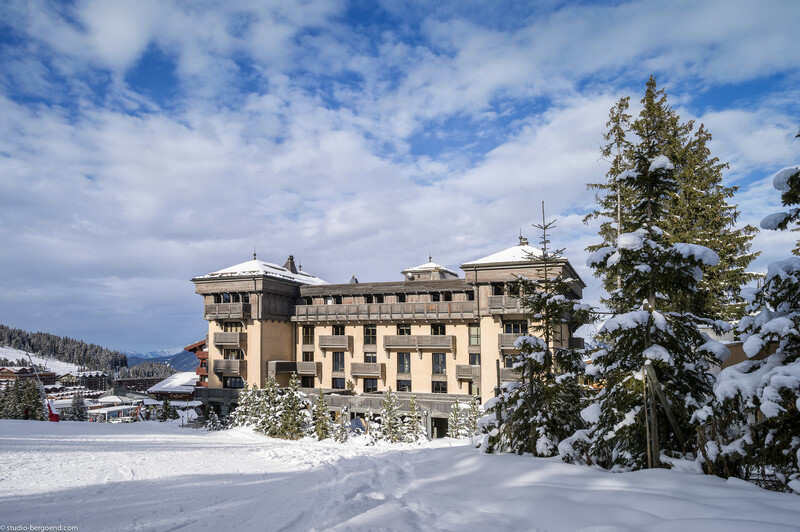 The hotel’s recent refurbishment in 2016 saw its 31 rooms and suites completely renovated, and the introduction of a new sun terrace and bar area just a glide away from the boutiques and restaurants of chic Courchevel 1850. The launch of the new Aman Spa at Aman Le Mélézin will allow guests to nourish the soul and rejuvenate from the outside in, with the invigorating experience of physical activity in the fresh mountain air of the French Alps reviving their bodies, and the soothing relaxing experience of a spa treatment completing the experience and allowing for total relaxation. With these exciting new additions to Aman Le Mélézin, 2017/2018 looks set to be a stellar season, ensuring an unforgettable visit both on and off the slopes.